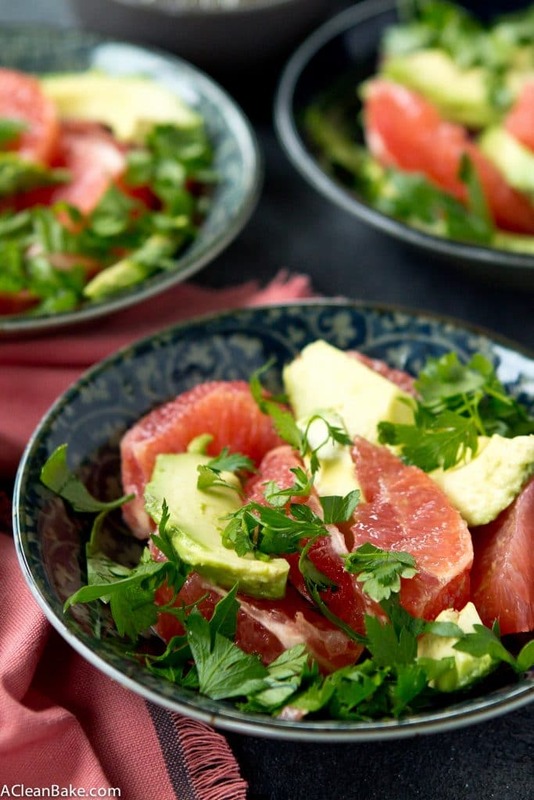 A grapefruit & avocado salad is as low maintenance as it sounds. 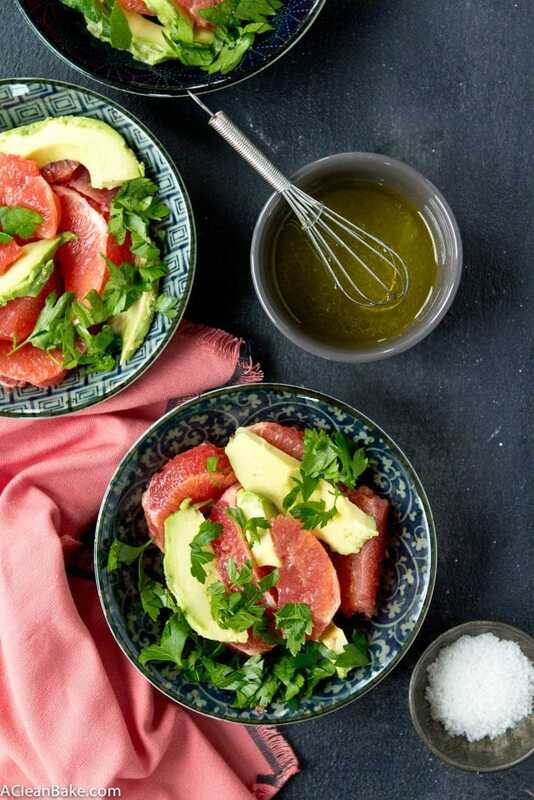 Just toss together fresh, tangy grapefruit with rich, perfectly ripe avocado, fresh parsley, and a light, 3-ingredient dressing for a satisfying and flavorful side! With a name that leaves little mystery about what to expect when the first forkful reaches one’s tongue, one can be forgiven for assuming this dish is … blah. Ordinary. Boring. Un-luxurious. 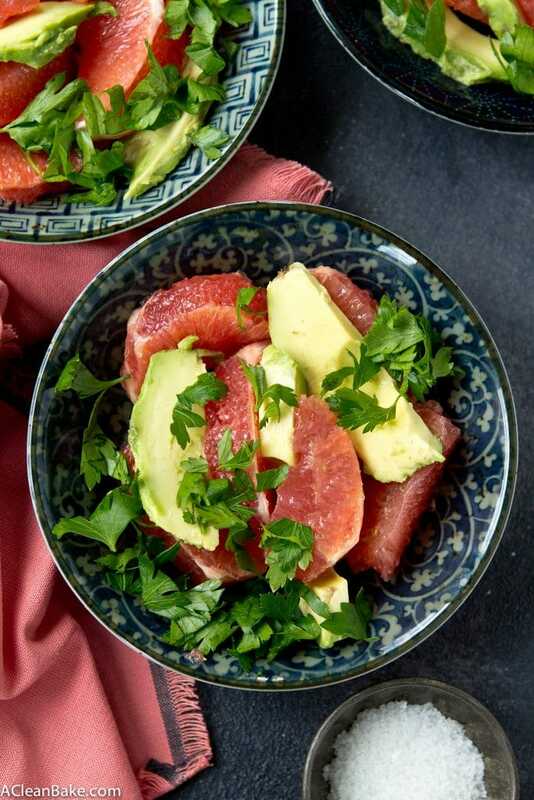 Imagine this: Juicy bursts of tart grapefruit mingled with rich, silky, melt-in-your-mouth chunks of perfectly ripe – no, maybe slightly overripe for just a degree more softness – avocado, tangy salt and crisp lime juice. If any salad were too dazzling to be a mere side dish, a humble supporting character, this is that salad. This salad steals every scene it is cast in. The stars are, of course, members of the tragically underrepresented – at least not here on this site – winter produce family, which I decided was due, no overdue, for its close up. So, with that, I humbly present this simple-slash-addictive salad that we periodically eat by the bucketful (I’m only slightly kidding). It’s so simple to put together that it can only barely be called a recipe, if we’re honest. 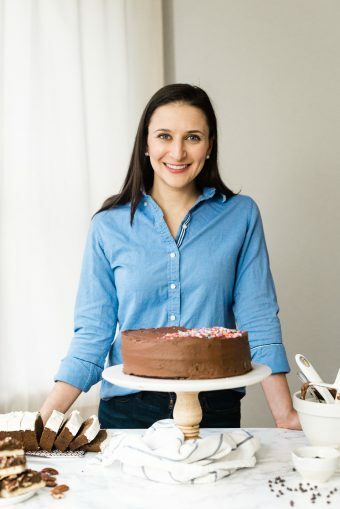 The portions should be considered an estimate; this is how I like mine but this is most certainly one of those easygoing dishes that allow you a lot of leeway to adjust to what you have on hand, or what you like, or what mood you’re in. Serve it with your protein of choice, simply seasoned and quickly cooked, and you have a meal. Instead of trying to find the words to ramble on about a recipe about which the name leaves little to the imagination – yet reveals absolutely nothing about the experience of eating the dish – I’ll just offer up the recipe itself and let you get to the store now (while grapefruit is on sale and avocado is inexpensive enough that you don’t need to remortgage your house to buy more than two). Let’s take advantage of winter produce! Peel the grapefruit and slice into wedges or bite-sized chunks. Transfer to a large mixing bowl and set aside. Remove and discard the peel and pit of the avocado. 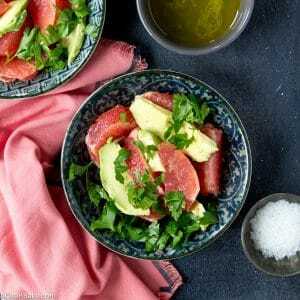 Cut the flesh into slices or bite sized cubes and add to the mixing bowl with the grapefruit. 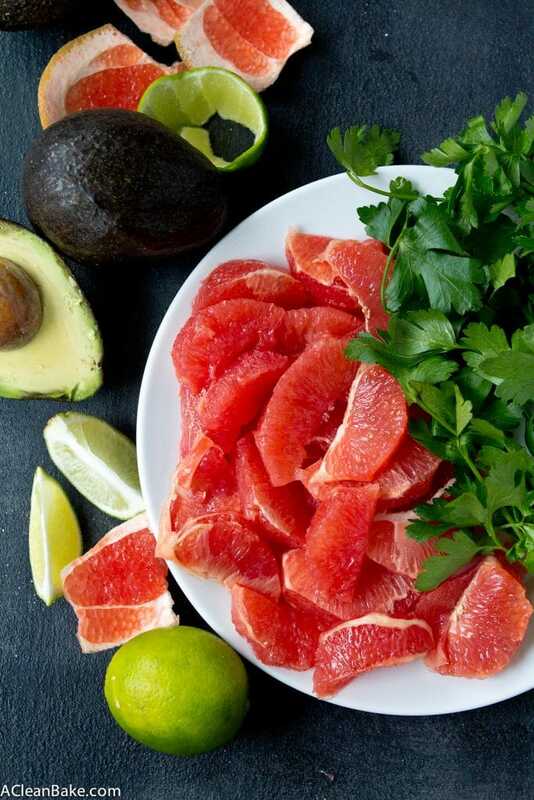 Roughly chop the parsley or cilantro and add to the grapefruit and avocado. Gently toss to combine the three ingredients. In a small mixing bowl, whisk together the lime juice and olive oil. Pour over the grapefruit - avocado mixture and fold gently to coat. Store leftovers in an airtight container in the fridge for up to 3 days. This salad is best eaten within 24 hours, though. This recipe will yield 4 larger or 8 smaller servings. Looks great! Hate cilantro for some reason, so I’m definitely going to try it with parsley instead. Ate an Avocado dresses with Tahini sauce (Sesame butter with salt pepper lemon juice, wate – plended) with a spoon and a yellow grapefruit as my breakfast. Recommend it to all. Refreshing, fulfilling and full of setst.